What do you do when God dies? It's a question facing millions today, as science reveals a universe that's self-creating, western culture departs from its Christian heritage and the idea of God begins to seem implausible at best and barbaric at worst. 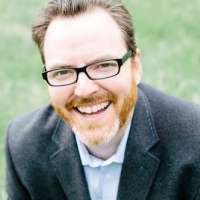 Mike McHargue understands the pain of unravelling belief. 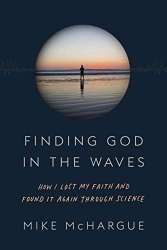 In Finding God in the Waves, Mike tells the story of how his evangelical faith dissolved into atheism as he studied the Bible, a crisis that threatened his identity, his friendships and even his marriage. Years later, Mike was standing on the shores of the Pacific Ocean when a bewildering, seemingly mystical moment motivated him to take another look. But this time, it wasn't theology or scripture that led him back to God - it was science. 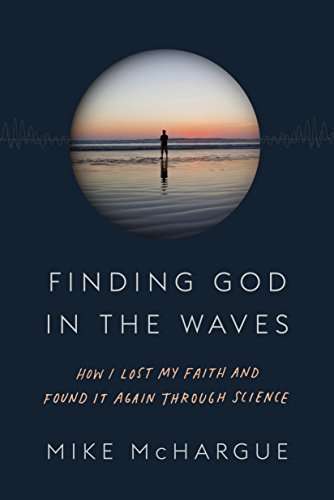 It is not often that a book surprises me, it's even less often that I let a book allow me to question aspects of my faith but both of these happened when reading this auto-biographical book from Mike McHargue, aka Science Mike. I knew from the cover that this was a story of someone losing his faith and then regaining it through science. I thought that this would be the run-of-the-mill style story where someone goes a little off the rails, but eventually has a turning point where they come back to their faith but stronger. It isn't and if you are expecting a twee-nicely wrapped up story of spiritual ritual to rags to riches then I would probably suggest you don't read this book. It all starts off quite well as Mike describes certain aspects of his childhood, things I could relate too, being the fat unpopular kid, and developing a young interest in church and a relationship with Jesus due to his Southern Baptist upbringing. So far so good...and that boy grows up and despite certain, fairly normal experimentation as a young man, into a young man who wants to know God more, eventually with a wife and children, responsibility at church and all the trappings that come with those positions of responsibility. It is clear from the beginning that Mike is someone who wants to pull things apart and find out how they work, something he apparently did with a video recorder which as a child he re-purposed as a Ghostbusters proton pack! So when as an adult his Dad calls a family meeting and tells the children that he and their Mother are separating Mike wants to try and fix the situation. He bombards his Dad with scripture, whilst at the same time embarking on some serious study reading the Bible four times in a year. From this and a series of conversations Mike finds his faith challenged personally as well as logically there are some aspects of the Bible that he cannot reconcile, not to mention the God of the Bible. Over time and in discussion with other people he realises that he has lost his faith, but at the same time his Wife, his Mother and his Church cannot know. For 2 years he keeps up the charade of going to church and even teaching at the Sunday School as the least-exciting double agent ever. Eventually it becomes apparent to his Wife and very nearly threatens their whole marriage, his Mom also finds out, and her confidence in her faith never slips. Then on one fateful trip to Florida Mike finds himself in a Rob Bell session for Church Leaders and it is here that he is finally able to unburden himself about his lack of faith. From that moment when these leaders and Rob don't pass judgement on him it sets him up on a slightly different journey and a few days later he has an experience that is supernatural. However this is where it gets difficult for me, all throughout Mike writes with his analytical mind and investigates the various aspects of prayer, faith and what God can be. He employs neurology in his investigation, as well as other sciences which he explains in detail as to what happens in these things. Some of this, despite the explanation is beyond me, but then some of it is very convincing. This logical analysis leads Mike to define terms that we often take for granted with 'axioms' to allow himself a frame of reference. God becomes somewhat less than the God of the Bible, but "at least the natural forces that created and sustain the universe as experienced via a pyschosocial model in human brains that naturally emerges from innate biases." He also frames faith, prayer, sin and more fundamental understandings of Christianity in this way. I totally understand why Mike has felt the need to do this, however for me it feels like remaking God and aspects of the Christian life into something palatable, because the idea of a God the way the Bible presents him doesn't meet his standard for Godliness. For a firm believer who follows this argument logically but detached from their faith this can all seem very reasonable and acceptable. Before you realise it you are siding with this acceptable understanding, and questioning the nature of God and how He has conveyed his message to us through the Bible, questioning the divinity of Jesus. Ultimately while this may make Mike feel better and appease his curiosity it doesn't mean much, other than culturally, if there is no God in some understanding of the traditional Biblical sense. If, ultimately, according to this book, God is really just a neural network sparking in our brains, what does it matter? It doesn't affect life or anything beyond so why bother with God at all? I can see that this book may benefit a non-believer, someone wired like Mike to understand the universe around them, to understand the psychological need to ascribe godhood to something other and open them up to the idea that there may be a God. I appreciate Mike's journey as shared in this book and his candid confessions that there are some things that he cannot explain, that go beyond what science is currently able to tell us. Ultimately though this book asked me many questions and made me question my beliefs and I welcome that. I don't think that I could enter a debate with Mike about this stuff, but I am confident that there is something more in this life than the axioms that Mike has put together can explain. I like sometimes to have my security shaken because it helps me to re-examine what my faith is built on and that's no bad thing, however I can also see how this book could be hard for some to come away from without it undermining their faith. Ultimately this book is not light reading, there are many heavy concepts to grasp, but that doesn't mean that we shouldn't be wrestling with these things! It is also very clear that we shouldn't be judging those who are wrestling with these concepts but walking alongside them, ready to speak when asked but also more than ready to listen when being spoken and to do so in love.